A very important feature for many of our customers. 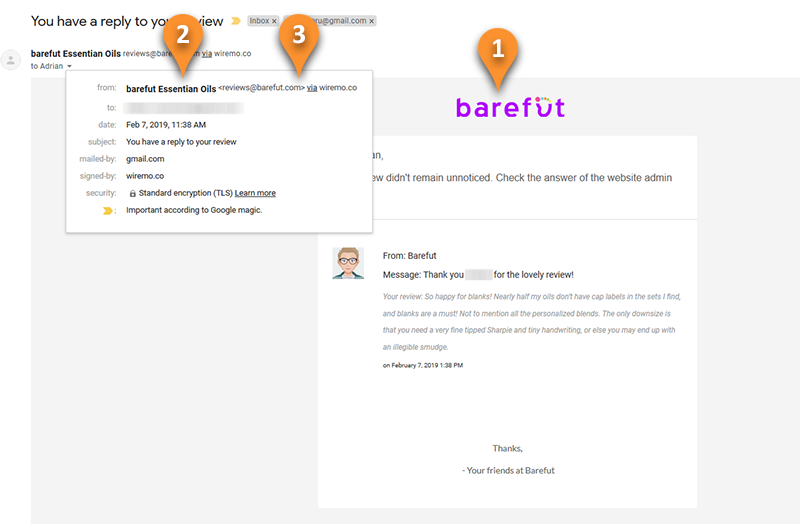 Below we will explain to you how to adjust all your notification emails to your brand. As you know your customers get notification emails. 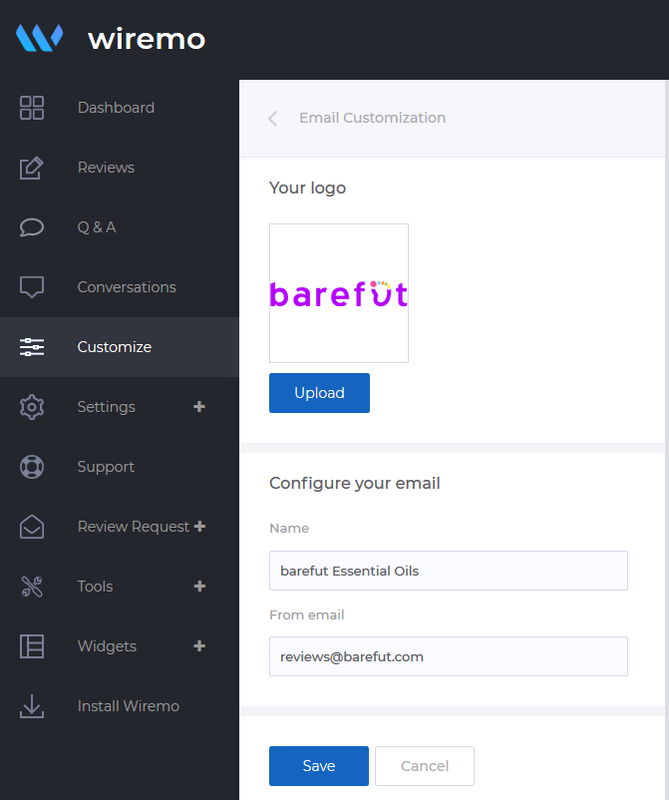 To adjust these emails to your brand go to Wiremo Dashboard, then go to Customize ⇒ Email Customization. Here you can upload your logo and type your business name email source that will be present in the notification email. Below you can see some screenshot of the customization, provided by one of our customers. And here is a screenshot of a real notification email with logo (pin 1), business name (pin 2) and email address (pin 3). Now you're done! Thank you for choosing Wiremo.